Notes: This ginger lily produces a lovely gardenia-like flower fragrance. 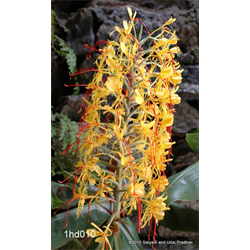 Kahili ginger tolerates very moist soil. Loved by hummingbirds and butterflies.